The Gold Coast is home to Australia’s best and biggest theme parks. If you visit the Gold Coast without at least visiting one, it just doesn’t feel right. Here we’ve outlined each theme park and why it’s a must-visit the next time you’re heading up north. Dreamworld has some of the best rides on the Gold Coast and the Tower of Terror ride is one of it’s best. Blasting you up into the air at 160 km/hr, it’s unlikely that you won’t scream – most people do! And then when they get off, they line up for it again. 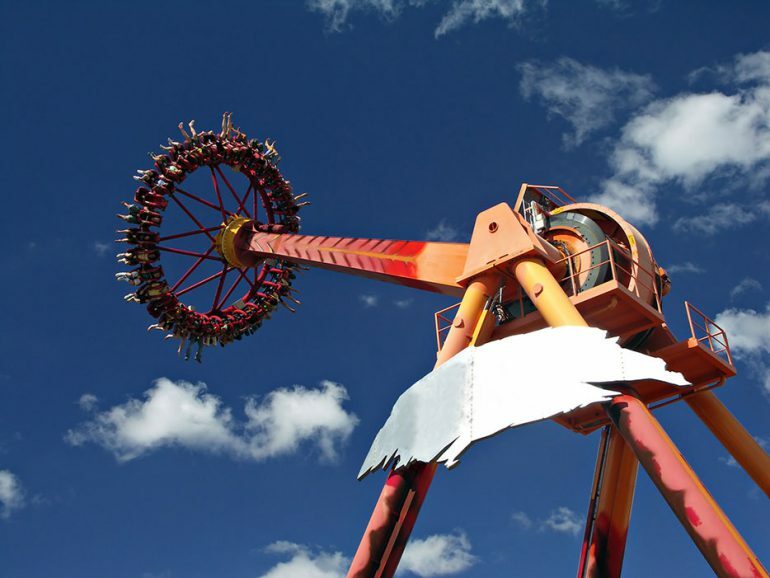 The Giant Drop is another great ride at Dreamworld. Standing at 119 meters tall, it’s the tallest free falling ride in the whole world. Of course if adrenalin isn’t really your thing, there’s plenty of fun rides that won’t make your stomach churn. Visiting Tiger Island at Dreamworld is a must too. Plan your day around the scheduled tiger shows so you can see for yourself what these magnificent creatures are capable of. Movie World has been given the title of Australian Tourist Attraction of the year a few times now and it’s not hard to see why. There are plenty of rides, car and superhero shows and stunts happening all day long, plus you can see how your favourite movies are made. Experience Shrek 4D and Batman The Ride 2 or take in The Police Academy Stunt Show for some serious fun. Wet n Wild is the best place to spend a hot Summer’s day on the Gold Coast. With great water slides, wave pools plus lots of pools for the littlies, it promises a great day out for the whole family. Sea World is one of the country’s best known theme parks as it showcases marine life while offering visitors the unique opportunity to learn about and get up close with some of the most amazing marine mammals. Apart from daily exhibitions including the seal and dolphin presentations, talks and tours, there’s also some great rides to enjoy, including a roller coaster, plus plenty of entertainment with stunt water skiers and more. The largest theme park of them all is WhiteWater World. Having four of the best water slides around, WhiteWater World is always packed with families having a great time on their Gold Coast holiday.